1. I recently discovered Blackwing Pencils, a classic stationery item (favored by John Steinbeck and Truman Capote) One of the most useful features on this pencil is the replaceable eraser, which is held in place by a tiny clip. The eraser is flat like a piece of Chiclet gum, this design helps it from rolling around on your desk surface. I also love their slogan: Half the Pressure, Twice the Speed. This most likely refers the buttery smoothness of the pencil lead, but I also like to think of it something applicable to life~ wouldn’t it be more effective if I could complete tasks with half the pressure and twice the speed? Sometimes it’s not even the quantity of difficulty of the tasks, but the related mental and emotional baggage that stymies my progress. 2. Usually the TV in my apartment just sits in the corner and gathers dust. One night I turned it on to check the weather, and happened upon the re-broadcast of one of my favorite drama series, ever: In Time with You (我可能不會愛你) which is a story about Chen You-Qing (played by Ariel Lin) and Lee Da Ren (played by Chen Bo-Lin), who met in high school, became friends during college, and continued their friendship after entering the workforce. 3. One of my favorite gifts I received this year from my younger brother, was a subscription to the digital version of the New York Times. 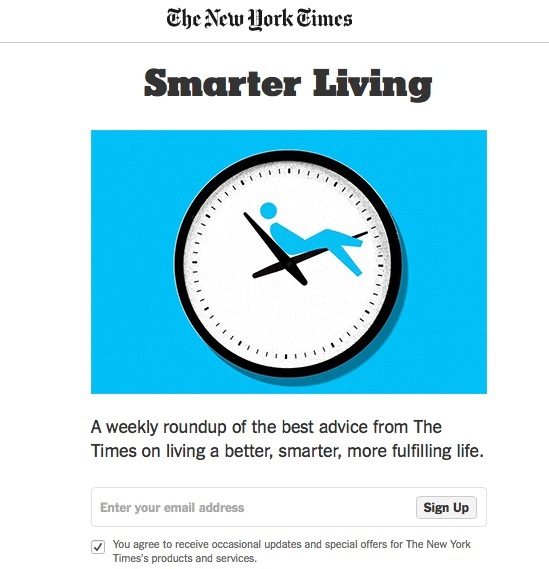 I highly recommend one of the newer sections, the Smarter Living Newsletter. It’s a compilation of guides that help with a variety of topics, such as How to Pack a Suitcase, A Smarter Way to Clean Your Home and my recent favorites, How to Run a More Effective Meaning, and How to Make the Most of Your Workday. 4. In my quest for better sleep quality, I’ve been trying a no-screen diet 3 hours before bedtime. I’m definitely old enough to remember life before iPhones and iPads, and I’m re-learning how to wind down by reading before turning in for the night. I just finished the last of the Crazy Rich Asians series, Rich People’s Problems. I’m happy to report that the third book is also a satisfying read, and I think it wraps up the series nicely. Make sure you don’t skip the footnotes! 5. Last but not least, salads. Summer in Taiwan is no joke, and I have continued respect for the industrious people who can stand over a hot stove, and put in the effort of making the traditional dinner of three dishes and one soup every single day. On my 30 minute commutes home, I spend a lot of time fantasizing about meals that can be made without turning on the stove, but in reality, the meal that appears frequently is a hearty salad. I use the baby leaf salad from Costco as a base. If I’m really together, I roast a bunch of vegetables, or toast pine nuts over the weekend, and prep my basic salad dressing (approximately 3 tablespoons of olive oil and 2 tablespoons of balsamic vinegar) and then toss in the ingredients throughout the week. Meal planning is still a work in progress, but this is a start. Next month, I am looking forward to two weeks of vacation time! Before those two glorious weeks of vacation can begin, next week I will be spending torturous moments outdoors visiting 10 different sites for work, in between I have a major project that needs to be wrapped up. I imagine I’ll be ducking in and out of strongly air conditioned coffee shops in between site visits to work on the project, so make sure to check over on my Instagram for updates. 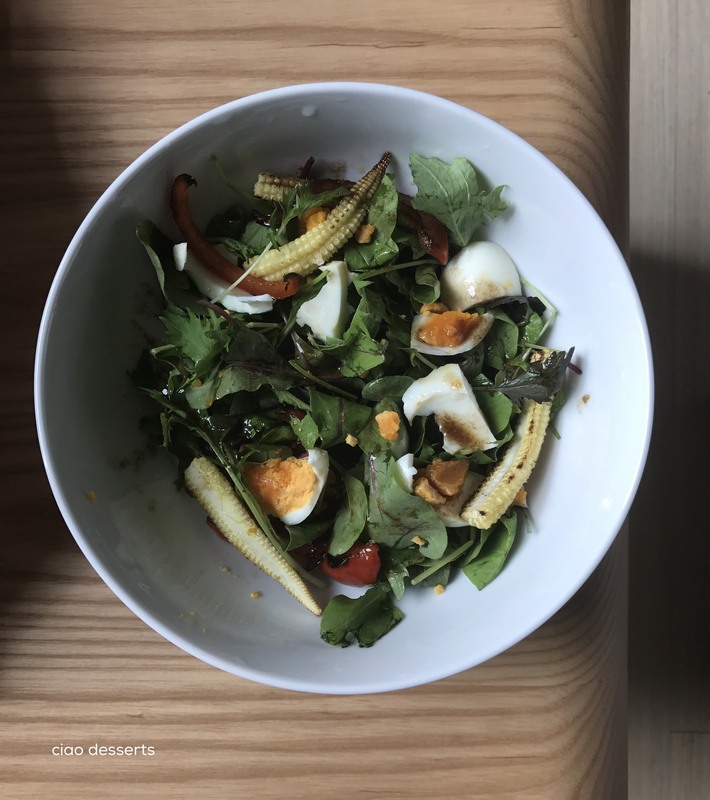 This entry was posted in Living, monthly roundup (5 things), Uncategorized and tagged 5 Things, Habit Shift, Meal Planning. Bookmark the permalink.